Judith A. Ramaley is President of Winona State University. Prior to coming to Minnesota, Dr. Ramaley held a presidential professorship in biomedical sciences at the University of Maine and was a Fellow of the Margaret Chase Smith Center for Public Policy. She also completed a residency as a Visiting Senior Scientist at the National Academy of Sciences.From 2001 to 2004, Dr. Ramaley was Assistant Director, Education and Human Resources Directorate (EHR) at the National Science Foundation (NSF). Prior to joining NSF, Dr. Ramaley was president and professor of biology at the University of Vermont. Dr. Ramaley has a special interest in higher education reform and has played a significant role in designing regional alliances to promote educational cooperation. She has contributed to national discussions about the changing nature of work and the workforce. She plays a national role in the exploration of civic responsibility and the role of higher education in promoting good citizenship. She also has published extensively on educational reform; science, technology, engineering, and mathematics education; and the leadership of organizational change. Education partnerships are central to – and often a requirement of – most education reform initiatives promoted by state and local governments, by foundations, and by business funders. Many fail for failure to understand the dynamics of their complex relationships. 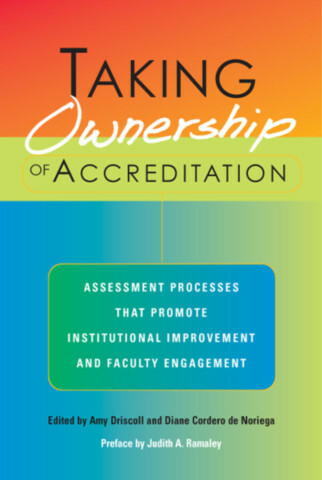 This book provides insights and guidance to enable prospective and existing education partners to develop answers to the questions that are critical to success: Why engage in this partnership? How can you communicate the potential benefits of partnership to motivate teachers, faculty, administrators, and community members? How do you select the best organizational structure and procedures for a partnership? How can you maintain open, deliberative discussion while respecting different histories and cultures? How can you produce compelling evidence that the partnership is worthwhile? Based on their observation of a five-year-long publicly funded partnership, research data, and the literature, the authors identify the principles that they consider critical to answering these questions. The authors do not minimize the differences and complexities inherent in partnership work, because they believe that doing so would be to present coherence and homogeneity where none exists. Instead, they seek to make evident how these principles underlie many different partnership situations. Thus, rather than presenting a package of best practices, or a cookie-cutter approach, this book presents the organizational principles for planning and implementing education partnerships, along with sets of strategies for working through them. The authors present the diagnostic tools for undertaking a deliberate and research-based approach to planning, designing, and managing a partnership. By surfacing participants’ often-differing motivations, and the practices and assumptions they bring to the table, the book provides the foundation for developing a constructive relationship. 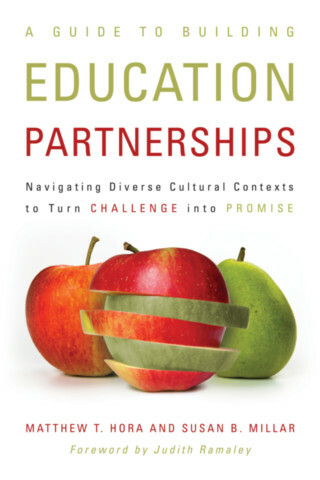 In scope, the book extends beyond school-university partnerships to include schools’ collaboration with state and local governments, nonprofit organizations, and the business sector.